Casino lovers will know that there is a real shortage of entertaining casino websites as most of the websites are traditionally designed. However, JoyCasino is an exception. It is designed in a stylish manner to make it very different from others. All the advanced features combined with a broad selection of games make it one of the most exciting casinos out there. In this article, we will review JoyCasino describing all the important aspects such as the user interface of the website, licensing of the casino, bonuses offered, a variety of games available, and security features available there. After reading this review, you will be able to decide whether you want to put in your hard earned money in the casino or not. JoyCasino online was founded in 2014 and has gained quite a reputation in the past few years by rolling out new games and exciting features to keep people engaged. It operates under the license obtained from the jurisdiction of Curacao. Pomadorro N.V. operates it, and it belongs to the same affiliate program under which another famous casino Casino-X operates and issued by the Government of Netherland Antilles Islands. Both the casinos have similar functionality and same owner. The casino mainly targets Russian market. You can get yourself registered on its website within a few seconds. All the features introduced here are directed towards providing one of the best and secure platforms to players from Russia and UK. The official website of the casino is designed in a stylish manner. The website makes use of a mechanical theme which lends it an attractive look and makes it unique amongst other casino websites. The website is made available for players all over the world and hence can be accessed in many different languages. JoyCasino’s website is delightful which will be evident as soon as you visit its homepage. On the homepage, you will find the casino’s claim to get yourself registered on the platform within 15 seconds. With a steel theme, you can see gears and cogs behind casino’s logo. The nicely designed homepage has all the options arranged in a systematic manner which increases the visual appeal. Games are categorized so that users can play them as per their preference. In the below categories, you will get to read about some of the most renowned ones enlisted in the casino. 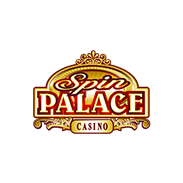 Also, on the right side of the screen, you will find the current fund offered by the slots with a progressive jackpot, and the current tournaments hosted by the casino. JoyCasino online play feature enables you to play from devices of different screen sizes. All in all, it can be said that the casino’s website has been designed to make things easily accessible. Reliability is a remarkable factor considered by players before investing their money. There are lots of casino websites out there who dupe customers and try to grab money from them. JoyCasino, on the other hand, is one of the most reliable casinos you will ever find. 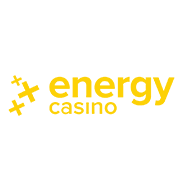 The casino has obtained the license from the ruling authority of Curacao which further ensures that the games offered by the casinos are fair and all the results are obtained through the Random Number Generator (RNG). The authority also ensures thorough rigorous checks and inspections are conducted from time to time to make sure that the casino software and games are not rigged for fair results. Apart from this, the casino owners have also employed an anti-fraud tool known as Pomadoro Anti Fraud tool on the website to prevent bots and hackers from stealing sensitive information such as banking details and personal details of players. The tool protects both operator and layers from any fraud. The tool is based on regular security checks conducted randomly or before any withdrawal. For the same purpose, SSL encryption has also been enforced. In addition, customer reviews also depict that JoyCasino is completely safe, secure and reliable, where you can chip in your money and expect fair results and great winnings. There are total nine software providers registered on the casino’s website to present games and keep players entertained. All the providers enlisted are well-known software providing games in the casino industry. 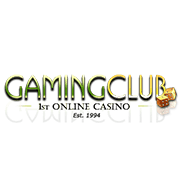 You can play these from Microgaming, Net Entertainment, ELK Studios, Thunderkick, Playson, NextGen Gaming, Evolution Gaming, Quickspin, 2 by 2 Gaming, Genesis, Yggdrasil, Push Gaming, Booogo, Play’N Go, Bet Digital, Foxium, Lightning Box, and Game Play. These are some of the renowned providers, and their games are based on leading technology. You can play the games offered instantly, and there is no download required in order to play them. Whether you are a slot lover or a lover of table games, the JoyCasino has something in store for players having different interests. Generally, the kinds of games you can play on the casino are slots, video poker, table games, and live poker with a dealer. Slot lovers are surely in for a surprise by seeing the vast collection of slots available on the casino. There are more than 200 video slots available along with 3-reel classic game slots. Here, you can find and play some of the popular titles from reputed software providers such as NextGen, NetEnt, Microgaming. Some titles have also been included from other small providers such as Thunderkick, Playson, 1×2 Gaming and Quickspin. There are plenty of themes and designs of slots available to satiate the needs of customers from all over the world. Fairytale related games are must try including Spirit of the Aztec, Mermaid’s Millions and Enchanted Woods. If you are a fan of sci-fi genre then go for Space Corsairs, the morbidly fantastical Alaxe in Zombieland, or the geriatric rock ‘n’ roller that is Hell’s Grannies. Although options are limited for classic slot lovers as you can play Jackpot 3×3, Fruity 3×3, and Jackpot Jester Wild Nudge. Other vintage styled games included are 5-reel games such as Fruits of the Nile, Fruit Shop, and Arcader. 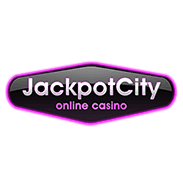 There are also many progressive jackpots enlisted from providers such as Microgaming and NetEnt with noteworthy slots like Icy Wonders, Fruit Fiesta 3-reel and Mega Fortune. Starburst is a slot game that has a nice design, and its interface looks like a night full of stars. In order to win the game, you need to make winning combinations from the vibrant diamonds presented in the game. Gonzo’s Quest is another slot game which has gained popularity all over the world, and fortunately, this game can be played on the JoyCasino. The design of the game resembles an old Mayan town. The game features excellent graphics, pleasant background music, and ample of opportunities for players to grab a decent sum of money. Jack Hammer 2 has been designed especially for players to love to play games based on comic books, detective stories, and adventures. If you have played “Fishy Business” slot game, then you will not face any difficulty in understanding gameplay and controls of the slot game. Jacks or Better is a video poker game which carries the essence of the old classic games. Apart from old functionality and gameplay, you will find new and fast playing process combined with outstanding and more realistic graphics. People who love card games will not be disappointed at all. There are different versions of card games available such as French Roulette, European Roulette, Blackjack Classic, or Double Exposure Blackjack. For those people who seek the thrill and enjoyment of land-based casino, JoyCasino brings all the things straight to your home. JoyCasino has made all the possible efforts to make the live dealing secure and safe. You can see the roulette wheel spinning and cards being dealt in the real time with the help of high-quality cameras installed. To play live dealer games, you need to register yourself on the casino’s website and deposit money. After depositing money, you can see the list of live dealers available to start playing. In the modern world, sitting behind a desktop PC is not preferred by many people instead most players prefer playing games on mobile devices on the go. JoyCasino ensures that all their games are available on different mobile devices so that players can sit back, relax and play games at their home. All of the games are fully optimized for iOS and Android devices of different screen sizes. Also, the advanced functionality ensures that there is no need of downloading any external file for playing games. You can access the casino website directly from your mobile phone’s browser. JoyCasino play online makes it easy to play games on the go. Welcome Bonus – The casino offers 25 to 200% welcome bonus to players on first five deposits. The percentage of bonus you receive depends on the amount of real money deposited by players. You get 30 free spins, complementary points or 2% cashback after making your initial deposit. Cashback – Players are entitled to 10% cashback depending on the amount deposited each month. Cashback is based on the games you are playing; cashback may be lower than 10% or none at all. Therefore, it is advised that read terms and conditions carefully before depositing money. Comp Points are special currency introduced by the casino which can be won while playing slots. You can use it in games or can also convert them to real money. In order to convert this to real money, you need to approve your email address. JoyCasino has made it easy for players to deposit and withdraw money. You can make deposits and withdraw your earning by choosing different methods like Maestro, MasterCard, Neteller, Paysafe Card, Ukash, Visa Electron, Visa, Skrill, Wire Transfer, and many more. Apart from these methods, the casino has also introduced Bitcoin as legal currency in the wake of the surge in the usage of popular cryptocurrency. You can release $5000 every day, ten thousand per week, and twenty thousand per month. To withdraw more than one thousand dollars, you need to get your documents verified by the casino. If you face any difficulty while playing games or while withdrawing your winnings, you can approach the customer support executives of JoyCasino casino. They have employed professional work staff who is polite and more than eager to help you in a professional manner. You can contact their customer service personnel via email, direct phone call, and live chat. Fastest medium to contact them are the live chat as you can expect a response instantly. Their contact services are available 24 by 7. To conclude, JoyCasino is a decent online casino with visible improvements in design and interface. You can play some of the most coveted slots at the casino along with many variations of card games and well monitored live dealing games. Also, the promotional offers run by the casino are attractive and quite frequent. In the case of any issue, you can always seek help from the professional customer care executives of the casino. We hope that this detailed JoyCasino Review would have helped you. 0 responses to "Joycasino Slot"